by Brianna - September 20th, 2018. In what real estate is better to invest your money? Investing in the purchase of an apartment, with subsequent delivery of a lease – the simplest form of investing money with little risk. Its advantages are that for a person not engaged in business, and so it is more or less understandable. Buy a flat rent. Of course, there are some subtleties. Which apartment to buy, Khrushchev, improved planning or elite? What area in the center or edge? What repairs do about it? What kind of furniture to buy, etc. These questions need to ask yourself before buying an apartment. However, do invest in this kind of a big mistake and burn, almost impossible. But need to understand that without your actions here, too, can not do, because there is a need to look for tenants to make repairs in an apartment, buy furniture and update, plumbing, collect rents, etc. Investing in the purchase of real estate under construction, at the start of construction, sale a few years on the stage of completion. 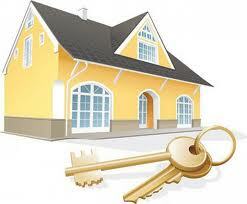 One of the biggest advantages of investing money that it is the easiest from all types of real estate investing. Signed the papers, and several years later once again signed the papers and everything. Do not look for tenants to make repairs, collect rent, etc. The biggest drawback of this and can not be eliminated kind of investment – is a high risk of losing money. Construction may take several years, the construction company can go bankrupt, investors' money can be stolen, etc. I do not want to frighten you, many Investors have made for this kind of investment the state. However, the risk of losing money is high, and it must be considered. When buying commercial real estate, plus is that the investment return is higher than residential. But for this type of investment requires large amounts. In addition, commercial real estate requires more attention than the living. Need to restructure the electric power to set and check water, heat and electricity meters, it is necessary to keep accounts, pay taxes, etc. There are other attachments, such as the purchase of land, lately people are actively buying up land on the outskirts of the city, garages, cottages, etc. So choose the type of real estate investing that suits you financially! And I'm sure you will succeed!